If you're searching for that perfect present in the Brisbane region, then check out these cruises on Brisbane River! Choose to gift a morning cruise up the river, an afternoon cruise or a morning cruise with lunch. All three of these gifts are the ultimate sightseeing adventures and are perfect for any and all occasions. Have a look at the options below and gift one online today! 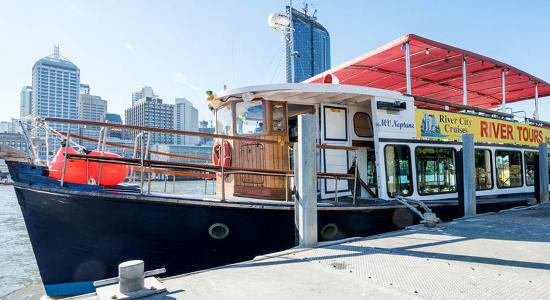 See Brisbane's best from the decks of our daily sightseeing cruise as you sit back, relax and enjoy the captain's informative and entertaining commentary. Gift someone this relaxing cruise along the iconic Brisbane River. Perfect for scenic and relaxation-lovers, you can buy this afternoon cruise as a voucher! Shopping for a gift in Brisbane? 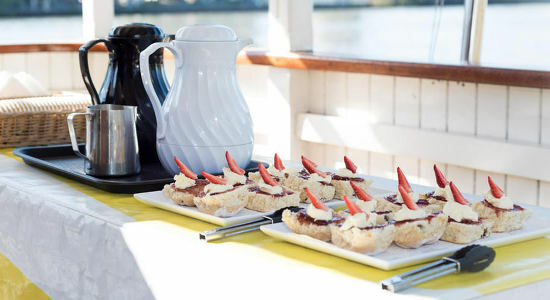 Then check out this morning Brisbane River cruise with lunch! It makes the perfect, relaxing gift! Buy a voucher online!